A fire in the Assiniboia area appears to have destroyed a home on Sunday. "I'm afraid it looks quite severe. It will likely be a complete loss on the house," said Winnipeg Fire Paramedic Service Chief John Lane. 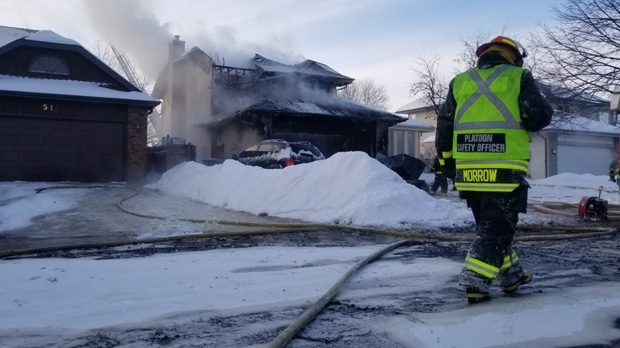 Crews were called to Hamilton Meadows Dr. around 3 p.m.
CTV News observed extensive damage, including a massive hole in the roof. Officials say everyone, including the pets, were able to get out safely. The cause of the fire is still unknown, but officials suspect the fire started from the garage.